Vivien Goldman is a writer, broadcaster and musician who has devoted her work to Afro-Caribbean and global music links and perspectives. A pioneering journalist during the 1970s 'golden age' of conscious reggae and militant punk, she drew on a lengthy association with Bob Marley to write his first biography, Soul Rebel, Natural Mystic, and worked closely with visionaries like the inventor of harmolodics, Ornette Coleman, and Afrobeat creator Fela Anikulapo-Kuti. Publications in which she has appeared include Interview, The Village Voice, Rolling Stone, Spin, the Daily Telegraph and Harper's Bazaar. After presenting for The Tube and The Late Show (with Charlie Gillett) she co-produced and conceived the groundbreaking 1980s TV show, Big World Caf�, combining world and Anglophone music. "...a disarming li'l dub song about dating and washing." 'Private Armies', the track on the single's flip side, featured the production skills of a young Adrian Sherwood. Having just launched his On-U Sound label, Sherwood and Ari Up scooped up many of those they were working with at the time, including Viv and fellow Raincoat - Vikki Aspinall, and together made some of label's first recorded outings under the name New Age Steppers. In fact, the last track on the collective's self-titled debut LP (ON-U LP1) was a re-working of Viv's 'Private Armies'. 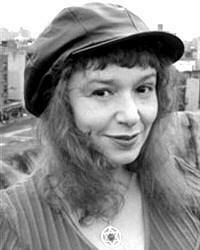 Vivien Goldman now lives in Manhattan, New York where she writes books, songs and screenplays.